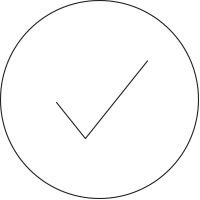 Starts in seconds and gets faster over time, allowing you to focus on getting things done. 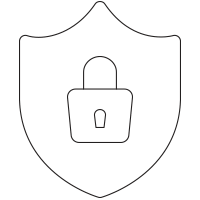 Built in encryption, sandboxing and automatic updates give all chrome devices high quality security. 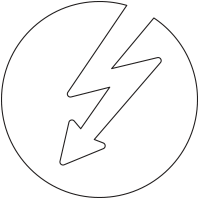 Chrome devices are built from ground up with speed, reliability and simplicity at their core, providing unmatched uptime and security for signage deployments. 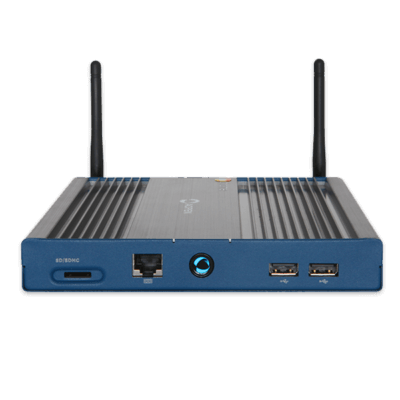 Chromeboxes are sleek, compact devices that are suitable for digital signage and kiosks. 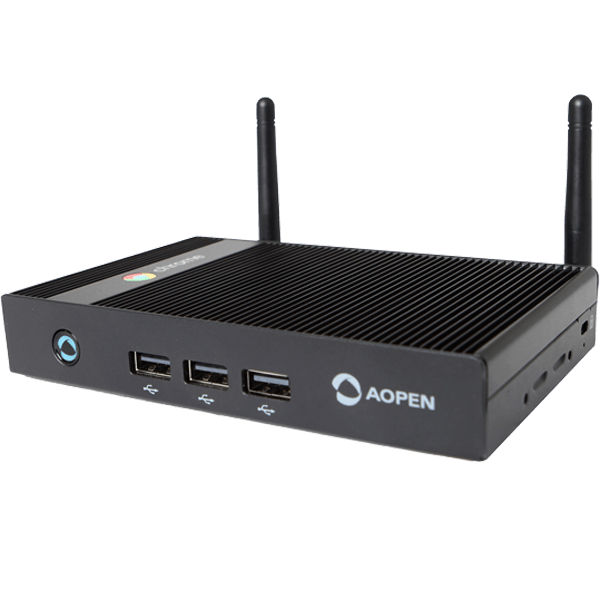 We recommend the use of AOPEN Chromeboxes due to their 24/7 design – the only Chromeboxes on the market designed specifically with digital signage in mind. Chromebases are simple all-in-one touch devices perfect for kiosks or POS displays. 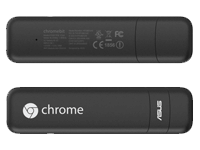 Chromebits allow you to turn any screen into an digital sign. These devices, although not commercial grade, provide a great entry level option to those on a budget that may already have displays in place. A Chrome Device Management License allows organisations to control and manage their chrome devices from a single place. 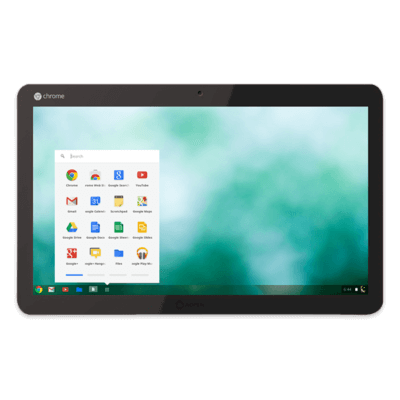 Using Chrome Device Management, an administrator of a G Suite account can manage and configure more than 200 features and polices on Chrome devices. User, device and network settings can be pre-configured to a Chrome device or remotely configured from the control panel. These settings can be applied to the entire organisation and all of its chrome devices or specific settings can be set for individual devices. Chrome sign builder is an entry level, basic digital signage app that allows users to schedule and display URL’s. Web content such as menus, images, YouTube videos, playlists and Google presentations can be scheduled to play for specific times or all day for a set number of days. You configure the builder once in the initial setup and then you proceed to create schedules and specify the URLs for the content. 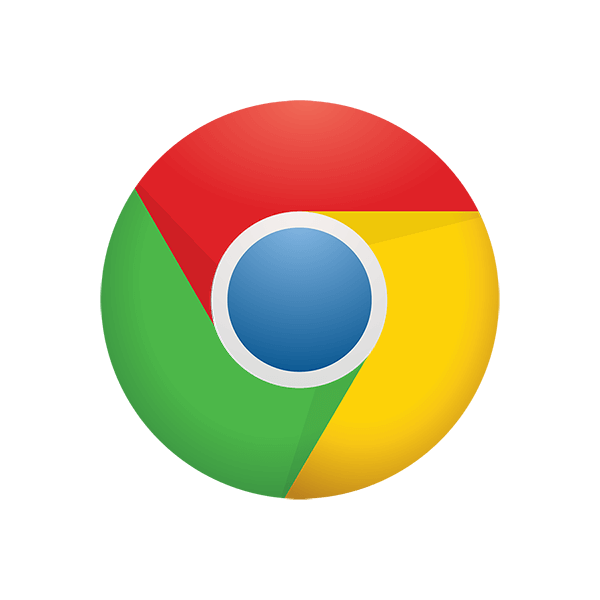 The Chrome sign builder can be downloaded and installed on any Chrome device or any other computer with a Chrome browser from the Chrome web store. 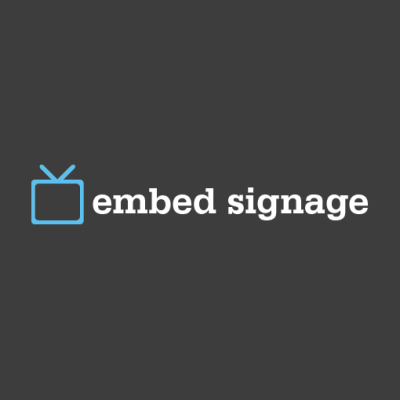 embed signage is a cloud based digital signage software with heaps of features. They are also Google Cloud Chrome Technology Partners too, a status only given to businesses that create products that complement, enhance, or extend the reach / functionality of Google Cloud products. The feature rich software allows users to create multi-zoned, multi-media layouts that can be scheduled to play at certain times of the day, days of the week, specific dates and even weather conditions. 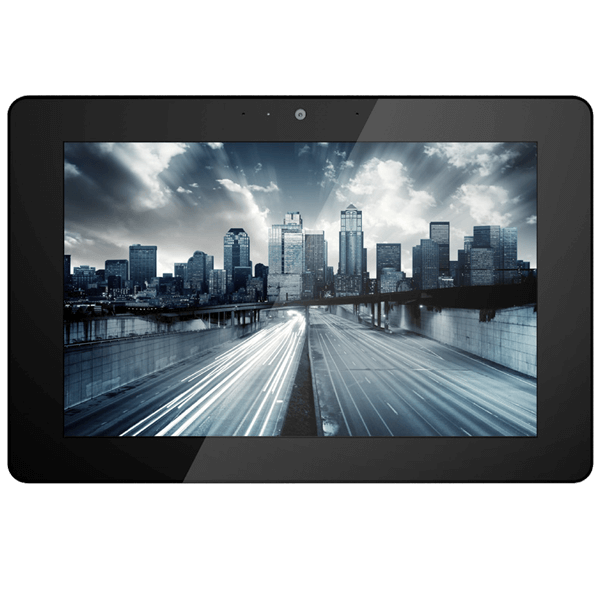 Content is published to the devices which download and store it locally for playback. There are also a wide range of free plugins and widgets such as Twitter, RSS and weather that are available to use. THINK CHROME IS THE OPTION FOR YOU? Get in touch with us on +44 8450 944 954 or drop us a message at hello@eclipsedigitalmedia.co.uk Follow us on Twitter @EclipseDigiUk or sign up to our mailing list to keep up-to-date with our latest news, updates and tips. Very informative and helpful for those organizations who use chrome devices in their workplace. It’s really helpful when it comes to productivity.